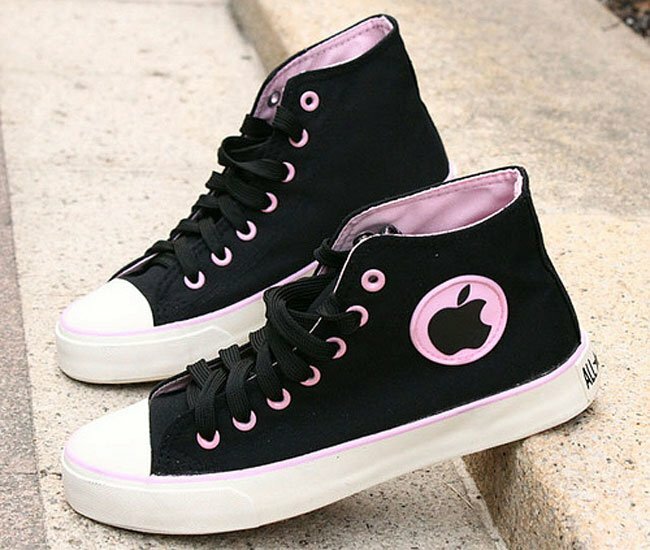 We have already seen a number of faked Apple products, as well as some fake Apple stores, in China, and now it would appear that some Chinese footwear manufacturers have decided to make some Apple sneakers. 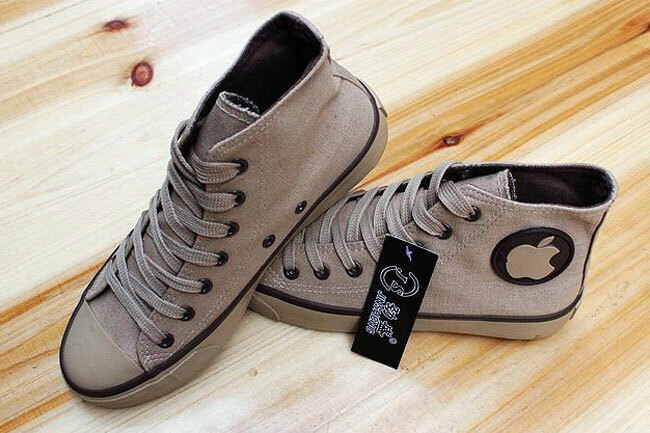 As you can see from the photo below, these fake Apple sneakers feature an Apple logo, and come in a range of different colors, and they apparently retail in China for about $5. 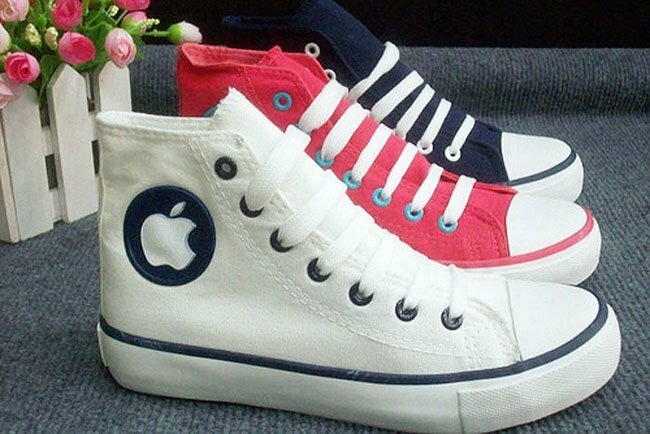 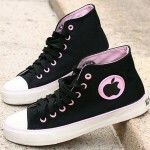 You can see lots more photos of the fake Apple sneakers over at Mic Gadget.